We have put up some nice and bold Sandersons Body Repairs Signs so you can’t miss us. If you haven’t visited us before – look out for the black and white signs. 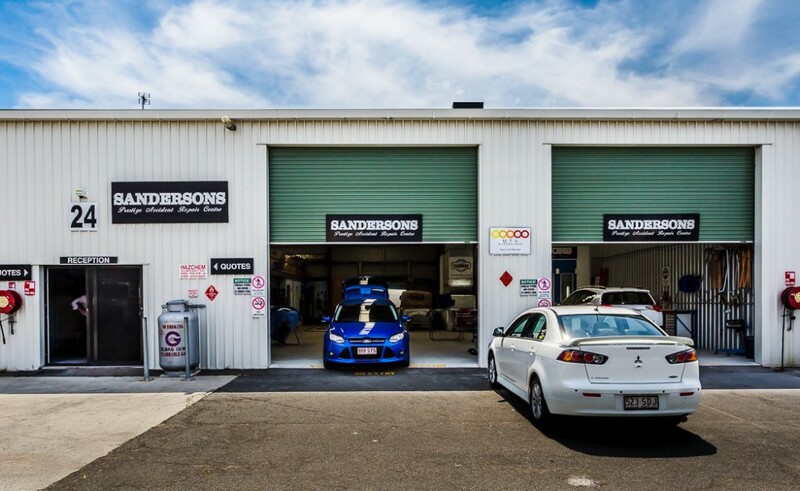 If you have had any bad luck with your car – bring it into the workshop at Sandersons and we will be able to repair it and get you back on the road! There’s no telling that you embarrassingly bumped into that trolley bay! If you’ve had a crash, you probably want to get back on the road as fast as you can. You have a job, a family and places to be – we understand that. However, what you shouldn’t do when searching for a Smash Repairer is compromise on quality service. You may loose money on the future sale of your car due to amateur or detectable repairs. 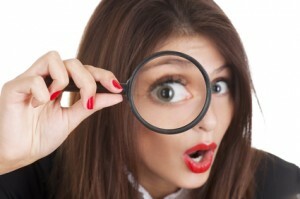 At Sanderson’s we guarantee undetectable quality repairs. You want to ensure your passengers and your own safety. 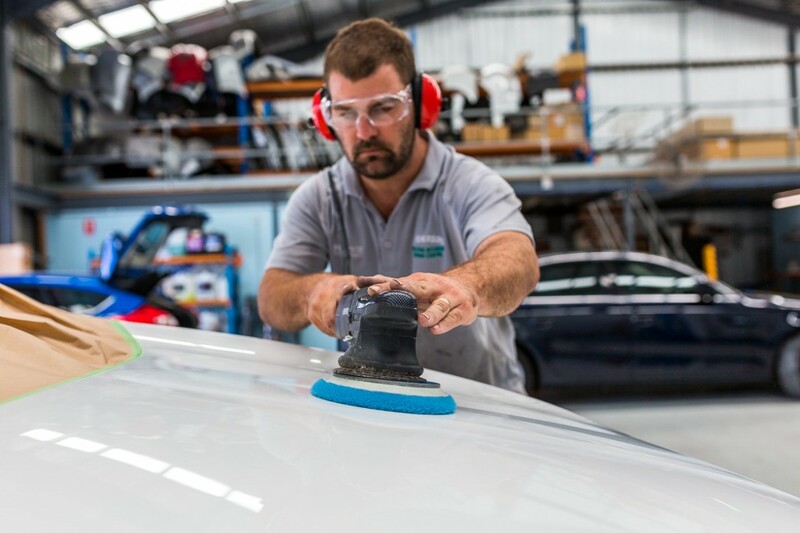 Our qualified tradesmen will make sure your car leaves the Workshop road worthy and in great condition. You want to have a good experience with your Car Repairer as you have been through quite an ordeal on the road. We want to ease the hassle and provide Courtesy Cars. Unfortunately, car accidents happen. Even to the best drivers on the road. So we thought we ought to write a list of a couple things not to do in a car accident. It might just save you some grief in the future! Don’t admit liability/that you are at fault. Leave that decision to the insurance company. Don’t move an injured person. 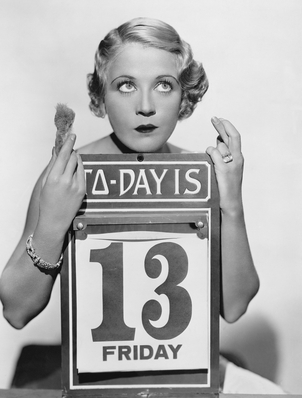 Don’t call your mother (unless it’s serious you’ll only frighten her). Don’t lose your cool with the other driver involved. Don’t forget to note down as many details as you can. Don’t take your car to just any repair shop. 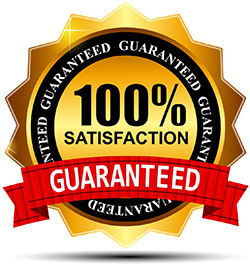 At Sandersons we offer a Satisfaction Guarantee and are an Authorised Car Repairer.